Anders Lundegård was born in Växjö, Sweden, and made his debut as both soloist and broadcast performer at seventeen during a youth artist festival in Stockholm. He earned his undergraduate degree as a student of Christer Johnsson at the Royal Academy of Music in Stockholm, whereupon he received both a Fulbright and a Sweden – America Foundation award to continue his studies abroad. 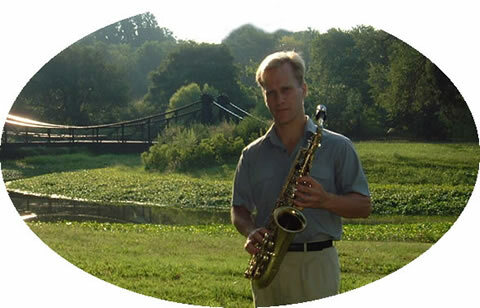 Lundegård completed his Master’s, Certificate of Performance and Doctoral degrees at Northwestern University, studying under the renowned saxophonist Frederick Hemke. During this time he was the recipient of no less than three awards, toured with the Swedish chamber orchestra Musica Vitæ, had several works dedicated to him, and won the Northwestern Solo Concerto Competition, performing the subject of his dissertation: the Lars-Erik Larsson Saxophone Concerto. Dr. Lundegård has devoted his career to capturing this original sound. He is particularly known for his solo recitals on alto and soprano sax, which include Bach Cello Suites (played at the original pitch) as well as Lundegård’s own compositions. © Copyright 2016 Bravesounds® Music Publications and Productions. All Rights Reserved.